Can’t Believe It’s Not Meat, a vegan café, is the latest addition to Hyde Park’s dining scene. The restaurant was packed during Monday’s lunch rush, with patrons forming a line out the door and down the block. Most took their meals to go; Can’t Believe It’s Not Meat’s small interior offers limited counter seating and no tables. The interior also features a mirrored brick–accented wall, ring chandeliers, and abstract wallpaper. The cafe is the fifth Hyde Park location from local restauranteur Rico Nance, who also runs Litehouse Grill and Mikkey’s Diner. Can’t Believe It’s Not Meat sits next to Soul Shack, another Nance-owned property, which opened just last month and focuses on meat-heavy soul food dishes. Nance opened Litehouse Grill, his first restaurant, in 2013, and now owns seven Chicago-area dining establishments. He is also a pastor with City of God Christian Ministries. His restaurants are known for serving up healthy options with a side of social justice—Litehouse Grill gives away 20–30 free meals daily to patrons who cannot pay. 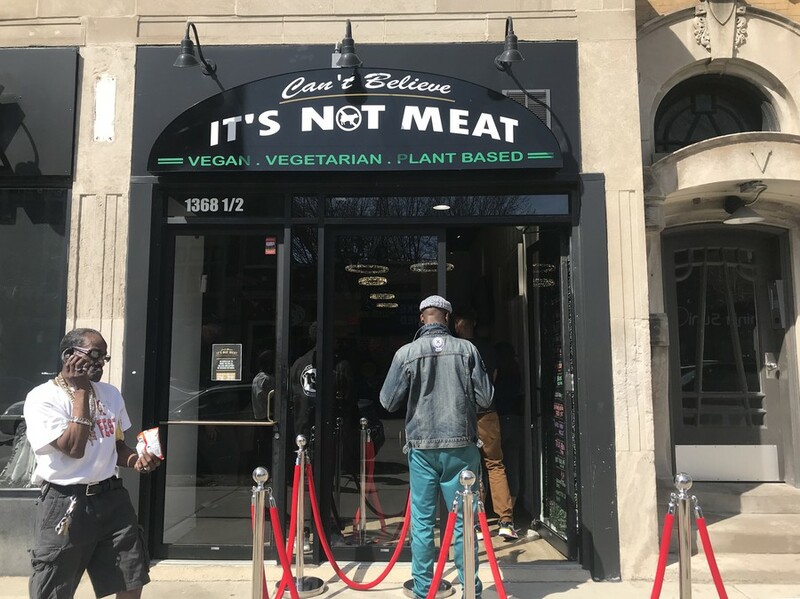 Can’t Believe It’s Not Meat is located at 1368 1/2 East 53rd Street. The restaurant’s hours are not yet fixed; call (773) 531–2948 to check opening and closing times.